The global trance community has evolved in leaps and bounds over the last 10 years, and with the influence of the majorly popular EDM genre taking over what used to be a trance arena, many of the world’s biggest DJs began shifting their sound to EDM to garner larger audiences. Now, one the of the world’s most famous trance DJs, Paul Van Dyk, has created “Aeon”—a new concept which strives to take the sound back to its ‘90s origins—and only time will tell if the masses will accept this new direction as the sound of the future. Collaborating with Paul Van Dyk is Namibian-born Pierre Pienaar, and their track “Stronger Together” releases this month on July 21st. 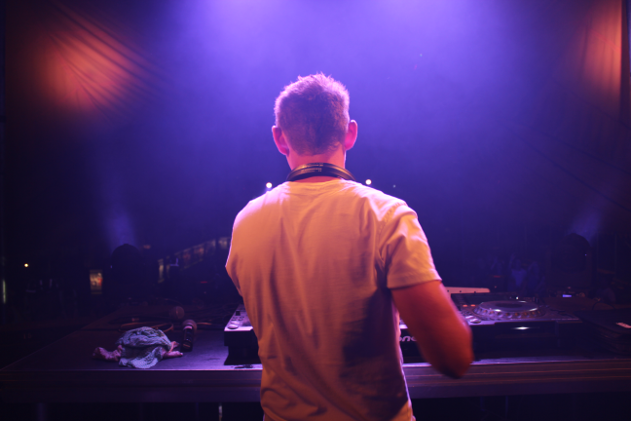 DJing since 1999, Pierre is one of the best known trance artists to have come out of Africa. And to date, he has released over 50 singles on labels like Vandit, Ministry of Sound, Armada and Tidy, as well as over 50 remixes for artists like Lost Witness, BK, Mario Piu, Mauro Picotto and even Bob Marley. With his long time friend Alf Bamford, better known as Technikal, the duo created their single “Global Panic,” which got picked up by Tidy Trax and went on to reach number 10 on the UK Dance charts.The track helped Pierre tour the world and play in the UK, Australia and New Zealand, and of course, South Africa. As Pierre gears up for the release of the collaboration, his “Higher State” single on PVD’s Vandit, a collaboration with SA producer Dirkie Coetzee on Black Sunset/Armada and a collaboration with Binary Finary, we caught up with the production powerhouse to find out more about his fruitful career. Having started DJing in a time when DJing could only be done by a select few, how do you feel about the DJing industry today? I’ll be honest, I have mixed feelings about it. Everyone seems to be a DJ these days and although beat-matching and playing on vinyl wasn’t exactly rocket science, there was still a level of commitment to learning and fine-tuning your craft, buying your records and having that sense of achievement. It’s moved away from a small group of music lovers to become a commercialised status. I feel there’s too many people in it for the wrong reasons. And due to money and contacts, they actually manage to push out the genuine talented and passionate. That being said, the technology now is amazing and a DJ set can be so much more now if you’re willing to put the effort in. Guys like Paul van Dyk and deadmau5 have taken traditional DJ sets and turned it into a next level live performance. Can you tell us more about Paul Van Dyk’s new direction and how you came to be involved with him? As a veteran of the industry, Paul’s always kept himself relevant by evolving, yet still staying true to his signature sound. Our track “Stronger Together” is actually a nod to the more classic sound of trance in the ‘90s, which made the sound famous back then. I’ve been privileged that Paul’s been supporting my tracks for years in his live and radio sets, and two years ago I signed my first track to his Vandit record label. I sent him a demo again and he and his team came back to me asking if I would be interested to collaborate on the track with him. Obviously I jumped at the opportunity, and unfortunately it took longer to realise as he had that terrible accident at A State of Trance, but a year and half later it’s finally getting released! What was it like working with Alf over the internet before finally meeting him on tour? Alf will always remain my original partner in crime. We learnt a lot from each other starting out, and to this day, I don’t believe I would’ve had the success I have now if it wasn’t for that man. At the time, I was still on a 56k dial-up connection, so collaborating over the internet was a painfully slow process. But we understood each other so well that we rarely had to send more than three revisions to each other. For instance, if you take out the uploading and downloading time of sending the project to each other, “Global Panic” was produced in about 2 hours between us. And that went on to enter the official UK Dance Top 10. Producing music has evolved a lot in the last 20 years. What was the one thing that revolutionised your production process? Virtual instruments for sure. Native Instruments’ Pro52 was an emulation of the classic Prophet 5 hardware synth and for the first time I was able to program my own sounds for leads and bass and not rely on samples. As a high school kid living in Namibia I didn’t have the funds to buy a Roland JP-8000 or anything like that, so without VST instruments I probably never would’ve managed to go so deep into production. How did you get so involved with big artists and labels overseas whilst living in Namibia? I did it the old fashioned way, by sending demo CDs via post. All my pocket money went into postage and blank CD’s at the time. Obviously now the whole process is much easier and streamlined due to better internet, so the world is a lot smaller. I just always made sure to keep in touch and keep listening to constructive criticism from A&R managers and eventually I managed to head the trance department for one of the most respected brands in the dance industry, Nukleuz. 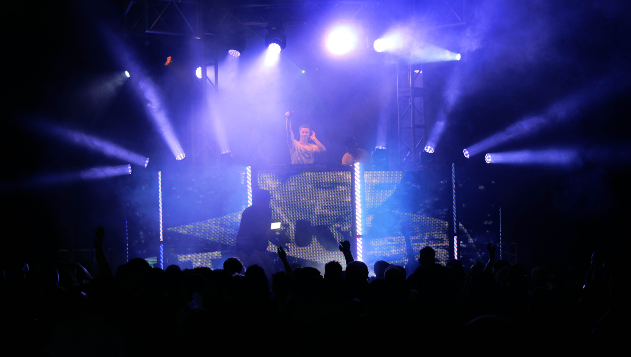 How do you think EDM has impacted the global dance industry? There’s positives and negatives. The negatives kind of flows in to what I said with DJing. There’s too many people doing it for the wrong reasons, and just paying their way to the top with no actual talent or even commitment. As someone who does a lot of ghost-production for a lot of people, I’m in a unique position to see the darker side of the industry. With that being said though, I’ve always felt that you can’t have an underground scene without having a more commercial scene—otherwise the underground scene would in fact be commercialised. So in a sense it draws away the wrong people from your underground scene, but sheds some light on more obscure genres. Take trance for example: many people got pulled in to it by commercial hits like ATB’s “9PM”, Darude’s “Sandstorm”, Ian Van Dahl’s “Castles In The Sky”. And that made people look deeper into it and find names like Ferry Corsten, Paul van Dyk, Binary Finary and Sasha & Digweed. Why did you find it important to create all your various aliases? Because I don’t like sticking to just one style. As a producer, I like learning new things all the time and I like drawing influences from various sources. P.H.A.T.T. had a very distinctive and unique hard trance sound, so when I started making more uplifting trance I didn’t want to move away from that identity completely—thus I started producing under my own name. I have a new project that’s recently started called Pierre Pressure where I explore a more commercialised sound. I do different genres because I love all kinds of music. I get so many people complaining when I put up a clip of a bigroom track that I’m working on and people really start abusing you and calling you a sell-out. Yet, at the same time I’d be releasing a pure 140 BPM trance track. I’ll never stick to just one style. 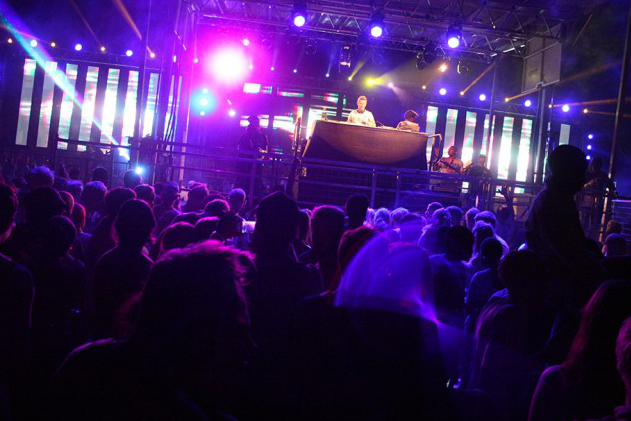 What is the dance music scene like in Namibia and what’s your favourite club and artist in the country at the moment? It’s extremely small and due to the trance scene being non-existent my playing style is different there and I’ll mostly play as Pierre Pressure—because at the end of the day, we as DJs need to remember who is important, and that’s the people on the dancefloor, not your ego. That being said, the last few years has seen a rise in our festival scene—which can go head-to head with many international events I’ve played—and that’s largely due to my booking manager over here who does Mammoth Events. Many South African DJs like Lady Lea, Pascal & Pearce, Mark Stent and Dean Fuel have been brought in to play events here, so things are looking up. But we have to be realistic in the fact that we’re a very small population, so getting Armin van Buuren or Paul van Dyk to play here is impossible unfortunately. Club London and Club Vibe have been the two leading clubs over here for a few years now and they bring consistent quality. In fact, I just played a gig with Timo ODV at Club London last week. There’s a few guys doing their thing here like Kboz, Wian van Vuuren, DJ Alu and Sour D, and it’ll grow more for sure as I also give production classes over here to try and help stimulate interest. What has been your favourite party to play and why? Oh it’s hard to pick just on. H2O was amazing for me as it’s just one of those legendary events to play, but doing a live set at Ministry of Sound in London is also pretty up there. But there’s this one underground party I played years ago in Durban that always comes back to me. It was the first event of Love-Tec, which has since gone on to do amazing things. But that was just so raw and you could feel the passion between the crowd and music. I tend to remember those nights more than others. What do you think the future of African dance music is? Guys like Black Coffee and Timo ODV are really setting that scene at the moment. And from their influences, others will come and grow as well. I think what makes African music so great is the fact that you can combine these traditional and ethnic elements and infuse it with other sounds to make something unique and different. Lastly can you tell us something that most people don’t know about Pierre Pienaar? Octopia release their massive international line-up. Pulse chats with the brains behind Global Underground, Andy Horsfield.